Amberly at Oak Creek is one of the centrally located communities in the Town 'n' Country area of Tampa. The airport, shopping malls and major highways are within 15 minutes away. The area is highly recognized for the reasonable priced Single Family and Town Homes located conveniently to Waters Ave. and Dale Mabry. The Homeowner’s Association charges monthly fees of water and cables, gated access and ground maintenance which allow you to enjoy a superb lifestyle of living in a maintenance free area! 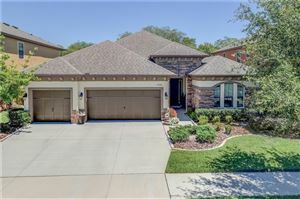 Many of the Single Family and Town Homes move in condition, so if you are looking for the real value and something upscale in your Real Estate purchase in Tampa, check out the Amberly at Oak Creek homes!